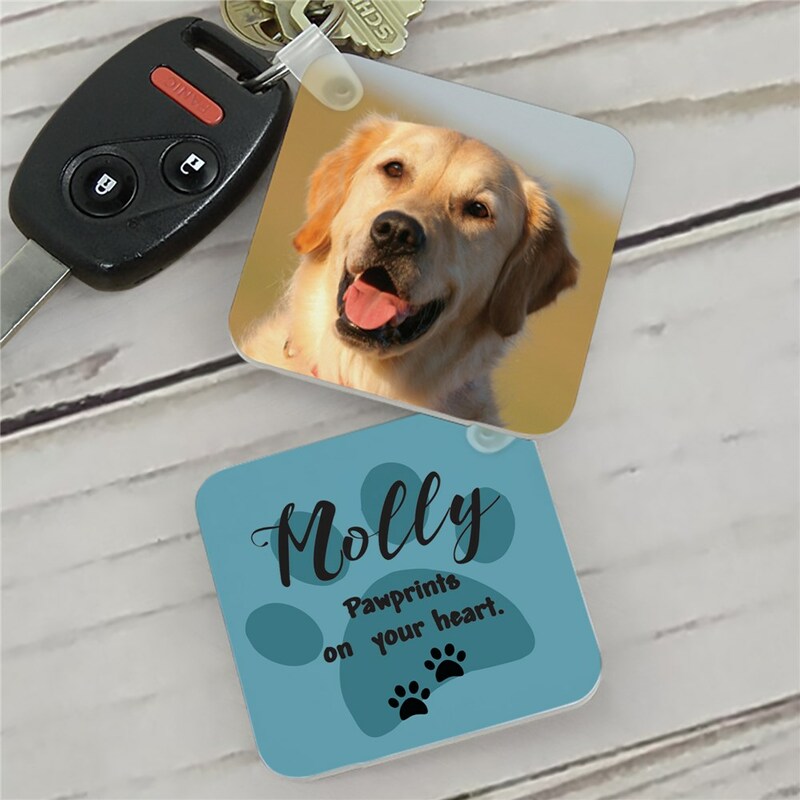 The loss of a pet can be difficult, keep their memory close by where ever you go with our Personalized Paw Prints On My Heart Key Chain Photo Keychain .These Personalized Key Chains will be personalized with any photo, any name, choice of font style and choice of design color. 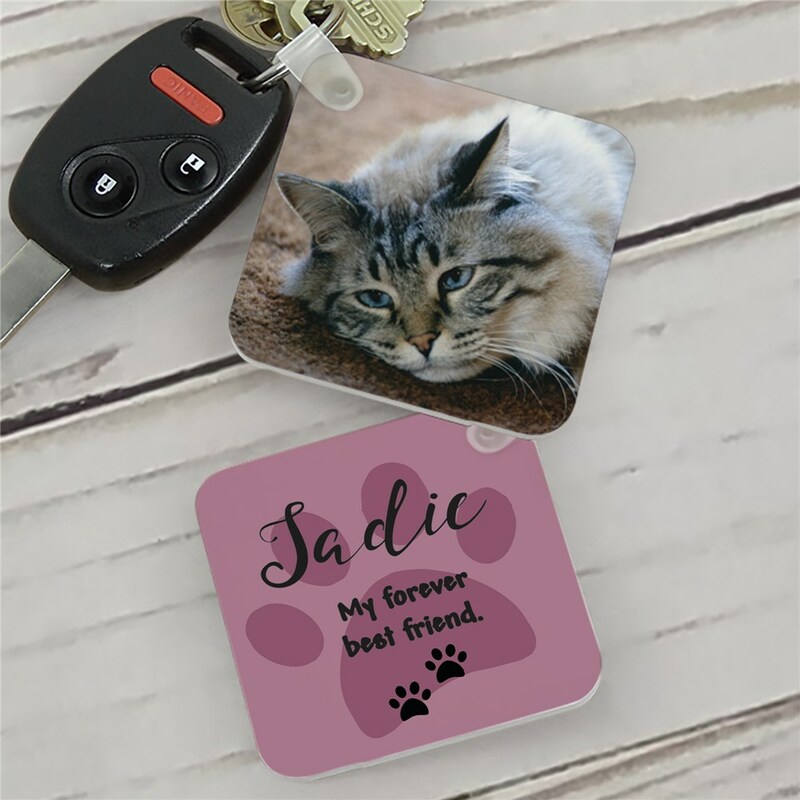 Shop more pet remembrance items on our website today! The pink version says 'my forever best friend'. It's beautiful and sturdy!